The administration of President Aquino is currently in the process of formulating its own mining policy due to be announced by middle of February. This came as welcome news to all stakeholders involved in the mining industry including miners, affected communities and the country as a whole. The lack of coherent policy has been blamed by investors for the resulting lack of progress in mining investments. The economic benefit potential of mining in the Philippines is enormous and the recent developments have underscored the importance of this sector to the economy as a whole. Worldwide statistics show that the Philippines is the fifth most mineralized country with large reserves of gold and copper. The country’s reserves are estimated to be at 5 billion tons of copper, 3.4 billion tons of gold, 292 million tons of aluminum, and 411 million tons of iron. The Mines and Geosciences Bureau of the Department of Environment and Natural Resources (DENR) reports that in 2010 total production reached 144 billion pesos with corresponding contribution of a measly 1% to GDP. But while there is a great potential for economic well-being, the environmental impact of mining activities cannot be denied. These competing concerns pose a dilemma to policy makers as to which is the best approach to handle mining. On the one hand, the Chamber of Mines of the Philippines (COMP) has exhibited their strong support for a responsible mining industry to help Filipinos get out of poverty. On the other hand, local governments that have seen first-hand the ill-effects of mining to their community such as flooding and landslides during heavy rains are adamantly opposed to the idea. The potential benefits of tapping into our natural resources, particularly from mining, are unquestionable. But its cost to society due to environmental effects should be taken into consideration very seriously before this industry is allowed to take off. An effective mining policy that can bring good benefits to the people with appropriate protection for the environment is possible as demonstrated in other countries such as Malaysia and Australia. However, the effectiveness of mining in these countries was only possible because of strong implementation of well-thought out regulations to protect the environment. The challenge now for the Philippine government is not only to formulate the right policies for mining but more importantly to determine how they can execute the required amount of control to make these policies work. It has to be a policy that looks at the long-term view and one that would be carried out judiciously. In order to answer the question of its capability to execute, the government would need to analyze itself and see if it currently has the right agency, manpower and expertise to carry out this mission. If not, then it would have to face this problem head on and make the necessary changes to fulfill this need. Doing nothing is not an option when we know that the potential benefit would likely outweigh the cost many times over. Our natural resources are there for our people’s benefit. It would be a shame to let these riches lay idle knowing millions of Filipinos remain in abject poverty. However, the undesirable catastrophic result of a terrible mining practice could have long-lasting repercussions which we do not want to happen as well. So we should stand as one in saying that mining will not proceed unless the foundation is put in place to ensure equitable benefits and protection for the environment. We should police small-scale mining which is not regulated by the government. These activities do not pay royalties or taxes to the government and are not regulated to ensure safe practices. There are places where mining cannot be allowed when assessed by experts that the cost to the environment is too great or if it will destroy UNESCO natural sites. The government should create a strong agency to implement regulations. 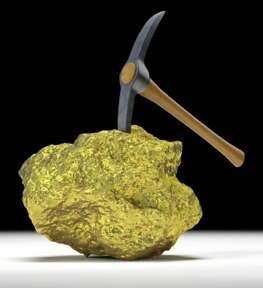 If the agency is not ready yet, a mining moratorium needs to be implemented until this is done. The policy should favor a strong protection of the environment for the long-term and a thorough cost-benefit analysis. Appropriate royalties should be paid to the government for all revenues collected by mining companies. If only we have proof that mining is not too risky, then we can do away with these cautious positions. But we’ve seen time and again how mining can go really wrong for the community and the environment that we cannot take anything for granted. We know we should do it for our own good but we ought to be deliberately careful not to cause more problems than benefits.